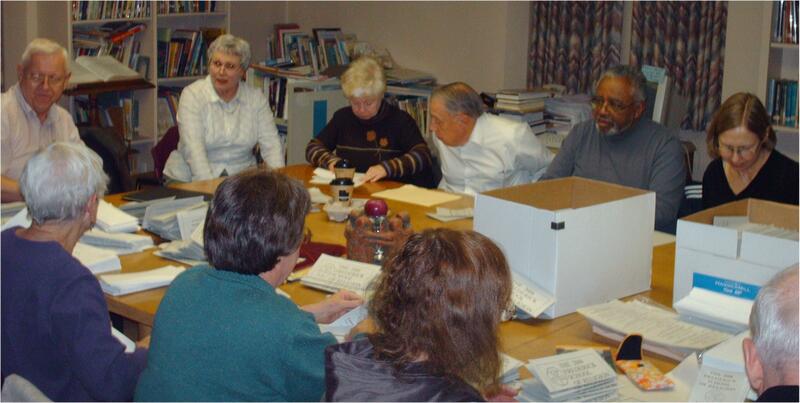 The Frederick School of Religion was established in 1983 and is managed by and operates entirely with a Board of volunteer lay persons. FSR offers to clergy and lay persons short courses on a variety of religious topics. Each year the School offers eight to twelve courses during the late winter and early spring, generally coinciding with Lent. Course topics vary from year to year, depending upon student requests and instructor availability. The School strives to include students and instructors from a variety of religious persuasions and experience. Courses are structured to foster free exchange among all members and all points of view are welcome. Attendance generally ranges between 130 and 180 students. The School is a non-profit, inter-faith outreach that is supported by contributions from area congregations, voluntary patrons, the Frederick Ministerium and student registration fees. All contributions are welcome! The School uses facilities generously provided by a different Frederick area congregation each year. Recent hosts have included Beth Sholom Congregation, Unitarian Universalist Congregation of Frederick, First Baptist Church, Glade United Church of Christ, Trinity United Methodist Church, Brook Hill United Methodist Church and St. Paul’s Evangelical Lutheran Church. Continuing Education Units (CEUs) are awarded to students requesting them. The Frederick School of Religion, Inc. is a registered 501(c)3 non-profit corporation under the Internal Revenue Service Code. Its volunteer Board of Directors includes participants from many religious groups. The board consists of a President, Vice-President, a Secretary, a Treasurer and leaders in charge of various necessary functions: registration, publicity, book store, refreshments, logistics, and congregational recruitment. All these corporate officers and leaders, along with at-large participants from interested Frederick county congregations, together constitute the Board of Directors, which meets several times a year to conduct the business of the School.